Christmas is coming up fast, and it occurs to me that this list would have been infinitely more helpful a few weeks ago, but here it is 5 days out. 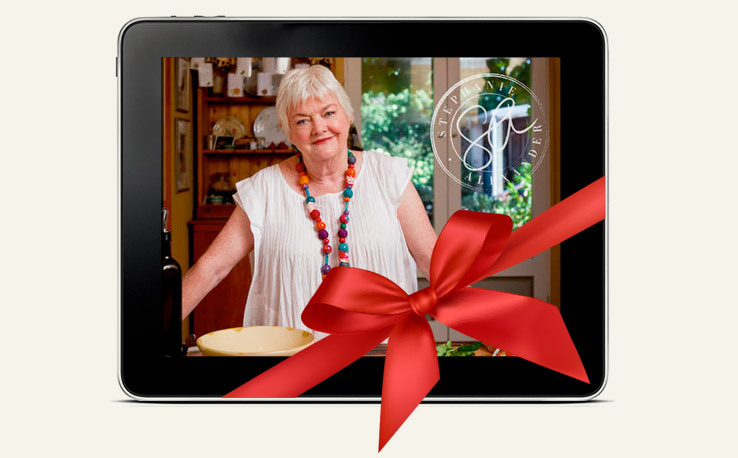 Although that is 5 days, 5 days to get your foodie the perfect gift. To fill that stocking with provocative delicious wonder. So from a food lover, to the person shopping for the food lover here is my list for you. 1. A gift voucher or pre paid booking to a fancy degustation restaurant. Preferably one they have been daydreaming about. Mason jars are trending right now. And for the food lover they are a retro, convenient, environmentally friendly way to transport, store and cute up your food. Convert your Mason jars into Cocktail shakers, Travel jugs, Straw attachments. Check online or your nearest home wares store for supplies. There are some great cooking classes around, with respected and famed chefs at the helm. Even the most confident cook would appreciate a date with one of these pros. Check online and see who is your area. Have you seen the size of the cooks companion book. It weight the same as a small elephant. The phone app turns an excellent compendium and table weight into a portable interactive collection to make all foodies swoon. That’s 2000 recipes, information on 126 ingredients, how to videos, and over 350 photos. The app has a gift option at purchase making it even more appealing. This was one of the best gifts I have given. With the growth of the artisan beer market there is literally a whole world of beer to choose from. Great labels, great names and awesome bling bottles make it one of the most dazzling 6 packs around. This idea of a world trip could be applied to food as well. Round the world in spices packets. Round the world in condiments. Valrhona is an amazing chocolate, expensive but amazing. It would be my perfect gift. Available from good delis and specialty food shops. Farmers markets are in. And why not encourage shopping in style. Cotton totes are both eco friendly and practical. These precious pods are heaven to any baker. Expensive, scented heaven. Impress your kitchen queen or king with a bulk purchase of good quality pods. Look online or in specialty food stores or provedores. Salt is the worlds true seasoning. Ranging in colours, mineral content, origin. Fleur de Sel, Celtic sea salt (often looked down on but is has the highest mineral content and the least processing), Maldon sea salt, Pink Margret river salt. Check out your local groceries and deli for varieties. 11. Because it doesn’t really need to be written but just in case……. The gift to blow all other gifts away. Do you have any foodie related gift ideas to add? I’d like to buy myself most things from this post…to bad the rest of my family aren’t as in love with food as I am… must stop procrastinating :) Thanks for sharing! Thanks Matt. Give me a big bag vanilla beans any day…..